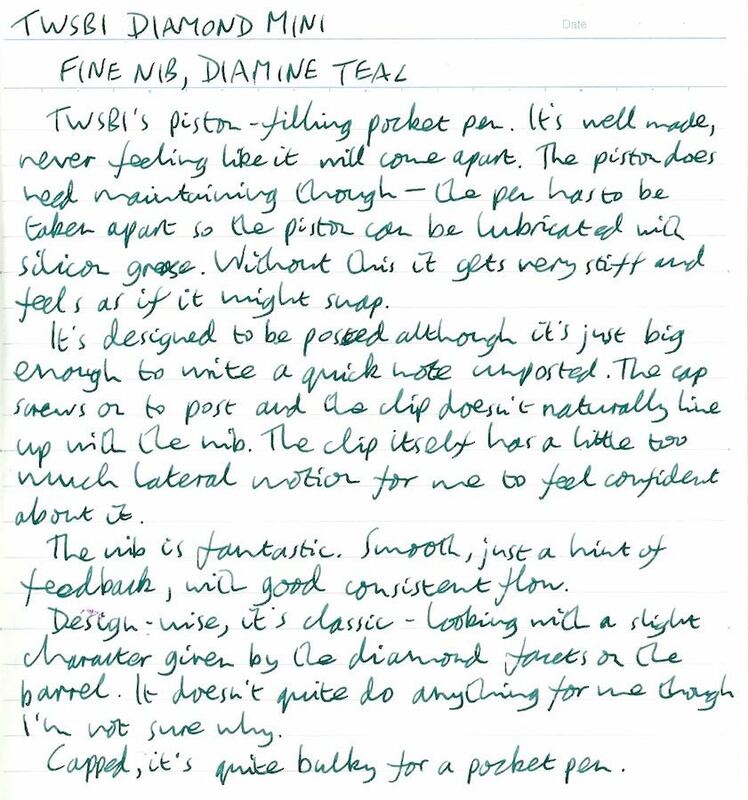 TWSBI Diamond Mini Fountain Pen Review – Pens! Paper! Pencils! With all the attention TWSBI’s Vac Mini is getting it might be easy to forget that TWSBI made a pocket-sized pen before, the piston-filling Diamond Mini. 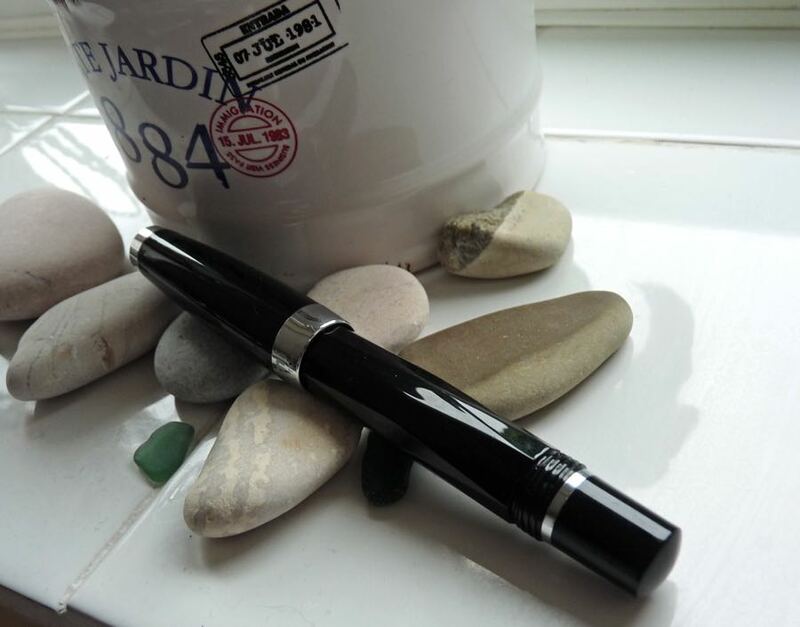 My Diamond Mini is the black version with a fine nib. It has a classic look to it (even though there’s a different version called the classic). 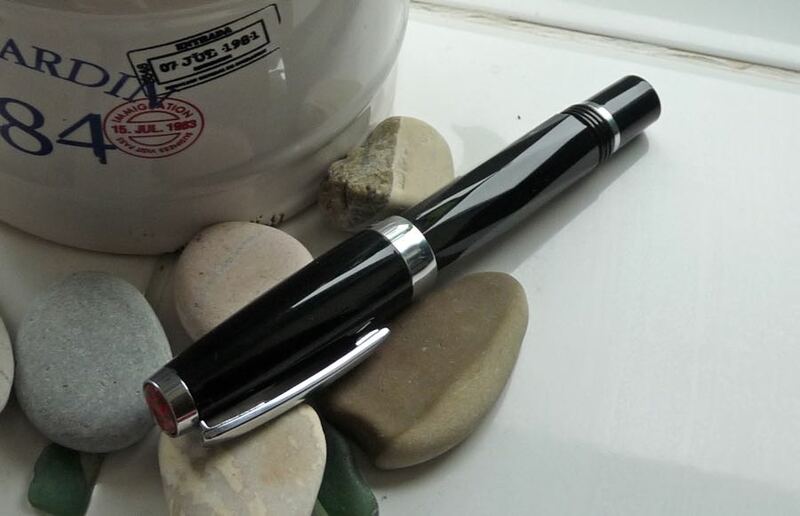 The barrel has diamond facets on it, giving the pen its name. The cap has the usual red TWSBI logo. I really love the logo but if you don’t like it, it’s unsubtle and hard to ignore. The clip my pen has too much side-to-side wobble. This may be age: I’ve had it quite a long time and I bought it second-hand so a new pen might not have this problem. But then a clip is designed to be used and shouldn’t develop problems like this. The cap screws closed and there’s an o-ring between the section and barrel to form a tight seal. Unposted the pen’s just about okay to write a quick note with but, really, you’re going to want to post this pen. Unfortunately you have to screw the cap onto the barrel to post and not only is this a bit of a pain, the clip never lines up with the nib, which irritates me, and because there are two starting points to the threads half the time the clip rests against your hand. This is uncomfortable so you have to unscrew the cap and try it again. This is a mini pen and mini pens, in my mind, are meant to be convenient to carry about so they’re to hand if you need to take a quick note or two. The design of this pen means it’s quite likely taking that note will be uncomfortable either because the clip is pushing into your hand or because the pen’s too short because you didn’t post. The piston-filling mechanism is neat and works well. It does require a little maintenance, involving removing the piston with the supplied tool and putting a little silicon gel on it. 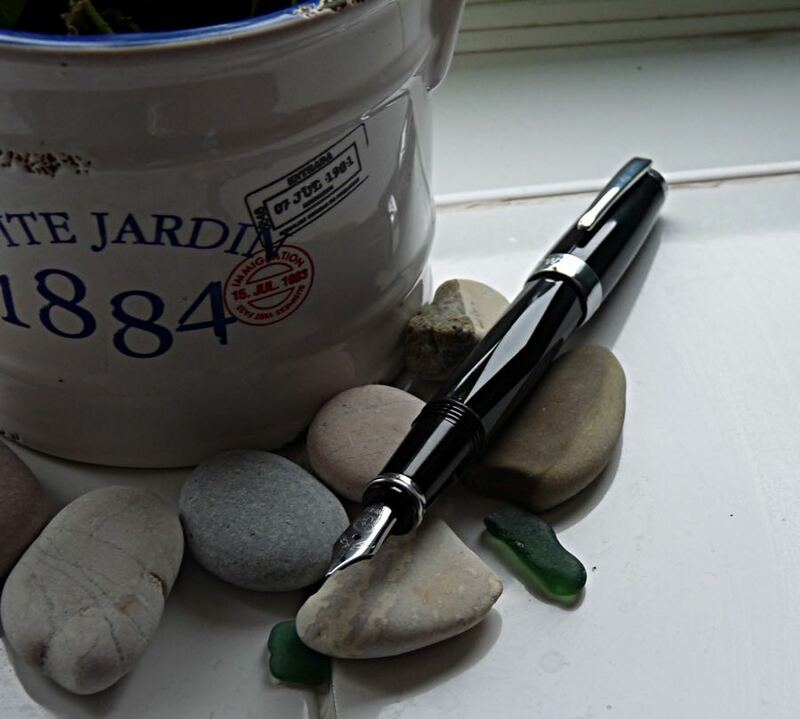 I put this down as a black mark when I reviewed the Eco because I see the Eco as being a beginners pen (although good enough to appeal to anyone). 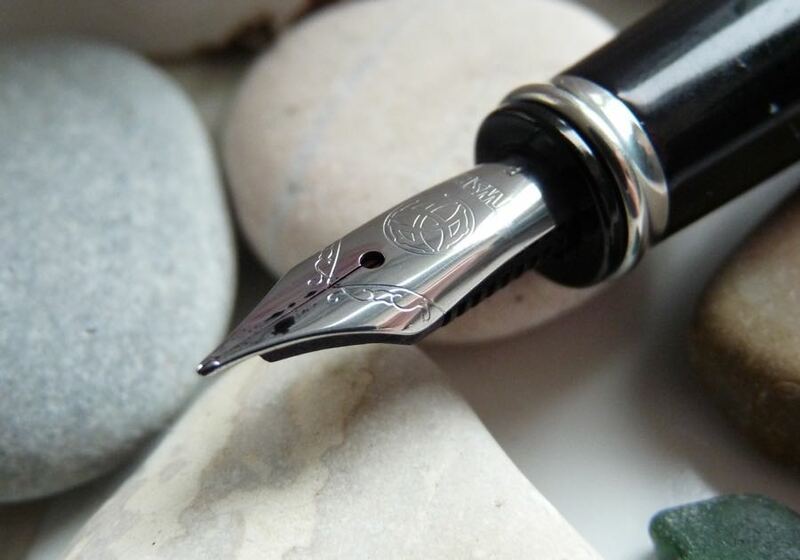 A pen for newbies shouldn’t need that kind of effort (in my opinion). I’ll give the Diamond Mini a pass with this: its target market is, I think, a little different. But do bear in mind that if you don’t remember to grease the piston (which sounds dodgy, for some reason) your pen will one day break. The nib is lovely. It’s smooth with just enough feedback to remind you you’re writing on paper and has good consistent flow. The Diamond Mini doesn’t quite do it for me. There’s nothing wrong with how it looks but I can’t get excited about its appearance. It’s not small enough to be a super practical pocket pen but it’s too small to be a great ‘normal’ pen. My TWSBI Diamond 580 had had a wobbly clip from new. It’s always been an irritation in an otherwise excellent pen. Just how often do I have to grease the piston? I thought it was more of a once in a blue moon when it starts sticking thing. Yes it’s quite a rare thing to have to do but if you don’t do it when you need to, you’re in trouble. Great review Ian. Thanks. I have the TWSBI 580 AL orange and I love it. 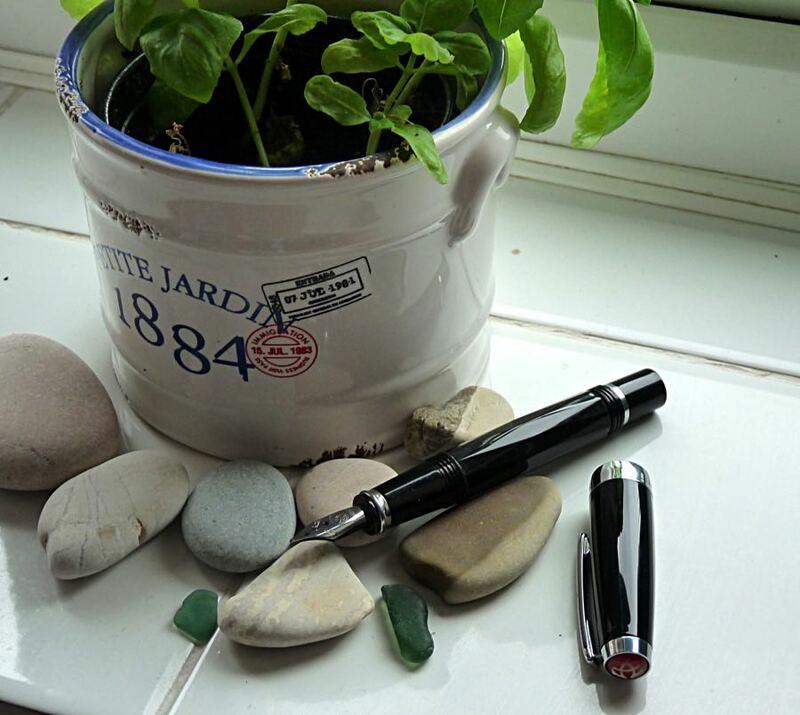 I’d quite like to get the TWSBI Vac Mini but at around £50 I can’t afford it just now. For the time being I will stick with my Kaweco Sport (although I’d love to get a Liliput too). Thanks Robbie. 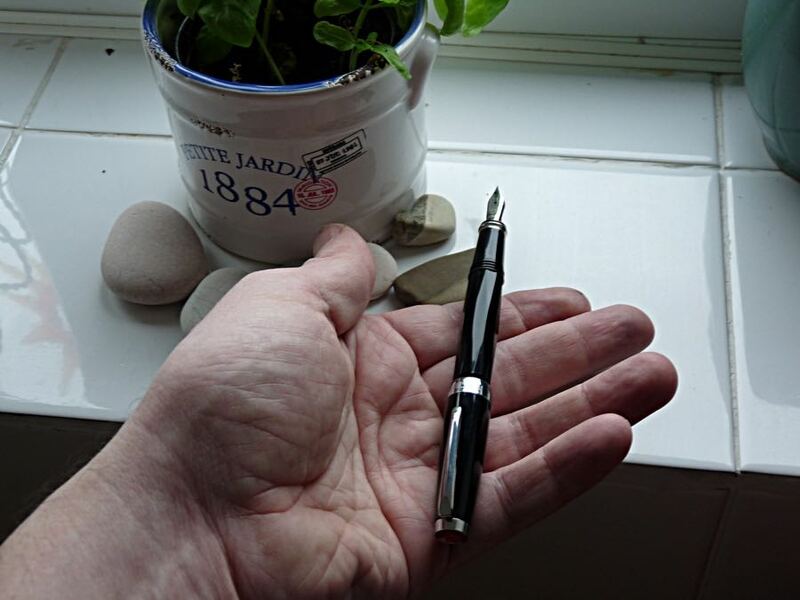 I’m working on my Vac Mini review but, for me at least, I’d say the Sport is a better pocket pen.